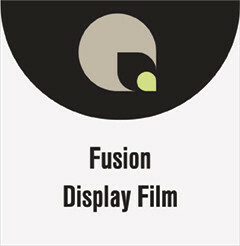 Fusion Display Film is a polyester film with a satin textured surface. Stable and will lay flat. Competivtively priced solution when compared with traditional polyester display films. Ideal for banner stands, POP displays and signage. Does not need to be laminated - one step process! Anti slip/static coating provides accurate printer feeding.